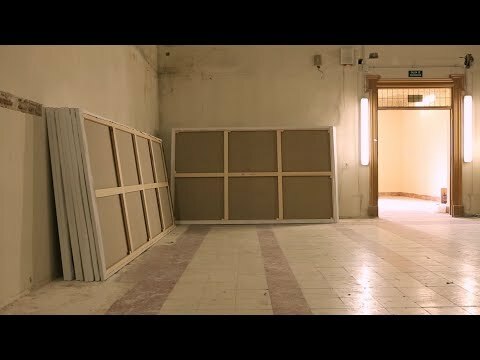 Room D will be showing a 20-minute documentary by Isabel Coixet which introduces viewers to the artist’s creative process and the work that he has produced for this exhibition. Alejandro Vergara, curator at the Museo del Prado. Exhibition: "The Spirit of Painting. 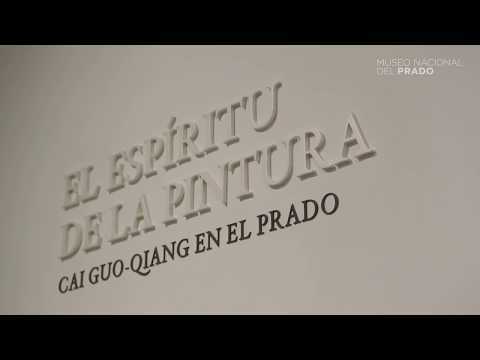 Cai Guo-Qiang at the Prado"
The Museo del Prado and ACCIONA, a Spanish multi-national committed to innovation, is presenting a new, contemporary project at the Museum. On this occasion it arises from artist Cai Guo-Qiang’s admiration of El Greco, measuring himself for the first time against the Great Masters of the Western pictorial tradition by means of his innovative and unusual artistic technique. In order to do so, Cai Guo-Qiang (born 1957, Quanzhou, Fujian Province, China) transformed the Hall of Realms into his studio where he produced a group of eight works inspired by the memory of that former palace space and in a dialogue with the Great Masters of the past represented in the Museum. 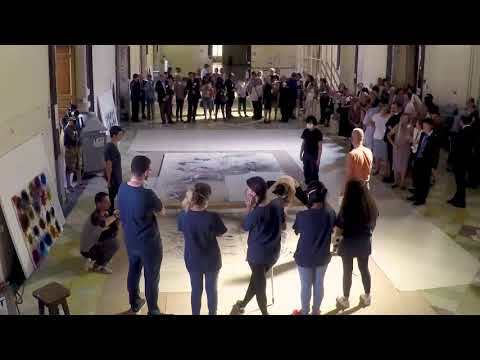 The artist’s residency, which took place in the weeks leading up to the inauguration of the exhibition, concluded with the creation of The Spirit of Painting, a monumental painting measuring 18 metres long and 3 meters in height. 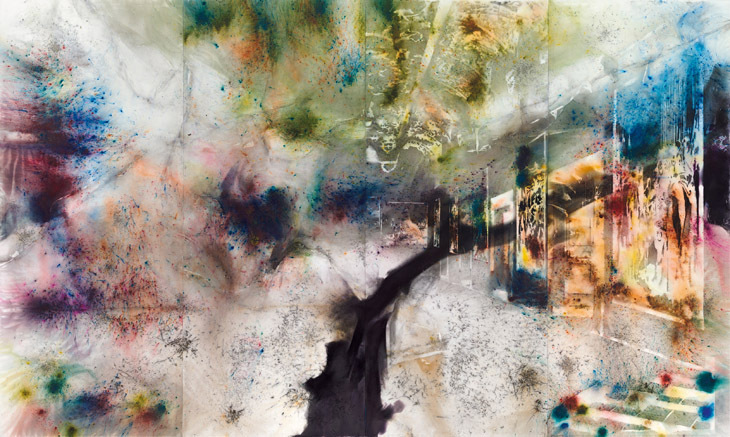 This work and the other seven created with gunpowder by Cai Guo-Qiang in the Hall of Realms, in addition to nineteen made in New York, are included in the monographic exhibition The Spirit of Painting. Cai Guo-Qiang at the Prado, on display in Room C of the Museo del Prado’s Jerónimos Building. 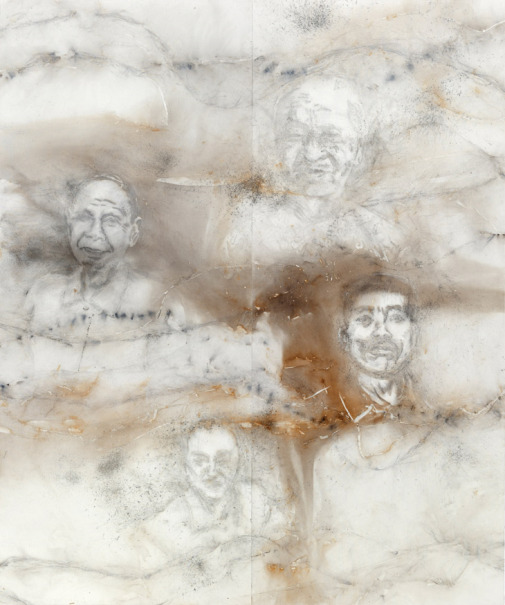 The result is an exhibition in which visitors can appreciate the dialogue that Cai Guo-Qiang has established with the Western pictorial tradition and in particular with the spirit of El Greco. This dialogue began during his years as a student and has continued to the present day, as seen here through a selection of works that include early creations by the artist and visual memories of the journey he embarked on in 2009 with the aim of reconstructing El Greco’s travels from his native Crete to Venice, Rome and finally Toledo. With the present project Cai Guo-Qiang aims to defend the particular characteristics that define the spirit of painting: the sensibility of the artist, his/her craft skills, and the sensation of adventure involved in starting work on a blank canvas. Through this exhibition, Cai is taking the opportunity to broaden his unique pictorial spirit and think about how contemporary art can move ahead. The themes and works of the four exhibition rooms naturally follow a rhythmic structure similar to the Chinese compositional formula Qi cheng zhuan he. The first room illustrates the relationship and dialogue between Cai Guo-Qiang and the spirituality of El Greco. This connection was Cai’s early inspiration in the beginning stages of his painting career, and now acts as the beginning of the exhibition. Day and Night in Toledo was the first work that Cai created in the Salón de Reinos. Cai reimagines what he saw when revisiting Toledo in early 2017 — the city from night to dawn, morning to sunset, and back to the night. The town, cathedral, valleys, and skies in the painting look as they did in El Greco’s time, forming a mirage on canvas. “As if, through an El Greco-esque energy, the past and present are overlapping in an undefined time and space,” Cai says. Painting El Greco’s Apostolado, Nos. 8, 9, 6, 3, 10, 7 emanate a sense of ceremony unique to classical painting. For each Apostle, Cai arranges gunpowder between two canvases, laid face-to-face on the ground. Ignited together, two paintings emerge—the lower canvas is more figurative and the upper one more abstract. “As though extracting an imprint of spirituality,” Cai explains. In search of El Greco, Nos 3, 6, 8, 9 With this group of studies, Cai experiments with gunpowder and explosion to better understand El Greco’s painting technique, including the flow and expression of color, light, and energy. In Mountain in Heat, layer upon layer of aphrodisiac mushrooms cumulate into a mountain that bursts forth with desire. The artist strives to achieve a sense of richness and depth on the canvas, straining between the thinness and simplicity of contemporary art and the profundity and harmony of classical painting, seeking to convey a new aesthetic. Black Poppy features nine canvases; on each succeeding canvas, Cai decreases the amount of black color gunpowder until the coolly elegant black is lifted to reveal the scarlet repressed beneath. The work captures the passage of changing time. “Painting needs to express energy; here, the energy expresses itself,” Cai explains. With Alchemist, Cai returns to fundamentals. With “the green lion consuming the sun” — a hallmark symbol in Western alchemy — as its theme, the work echoes the transformations of form and energy found in gunpowder, and is an homage to the alchemist-like, miraculous feats of the Old Masters. Salón de Reinos… was ignited in the exact scene captured on the canvases. It seizes the shadows of artists such as Velázquez, who competed in the Salón de Reinos. In addition to expressing his reveries at dusk while creating works in the hall over the past month, the artist also includes a phantasmal black line, subtly suggesting a blurring of time-space dimensions. Valley in Heat is the yin-and-yang counterweight to Mountain in Heat; separated by one wall, the two works echo each other from afar. According to Cai, it seeks to “express boundless expansion and elevation.” The work is evocative of Eastern ink wash painting, drawing a connection to Cai’s cultural upbringing. On Father’s matchboxes: As a child, I watched my father transform the commonplace scenery of our hometown into formidable mountaintops and waterfalls, using tiny matchboxes as his canvas. Throughout my journey as an artist, these matchboxes helped me to understand that painting is about depicting the heart and mind: a thousand acres can exist between two fingers. The fire of Nature symbolizes my continuation of my Eastern and Western predecessors — it traverses cultural and geographical boundaries and returns us to the origin. 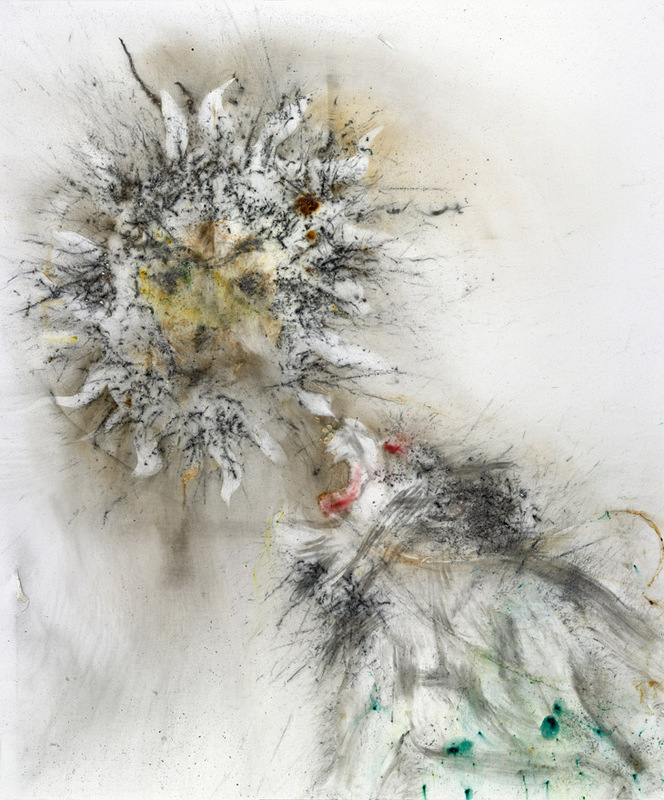 The exceptional nature of this exhibition is accompanied by the gaze of Isabel Coixet, one of Spain’s most international filmmakers, whose documentary offers a portrait of the creative process behind it and the work undertaken by Cai Guo-Qiang. 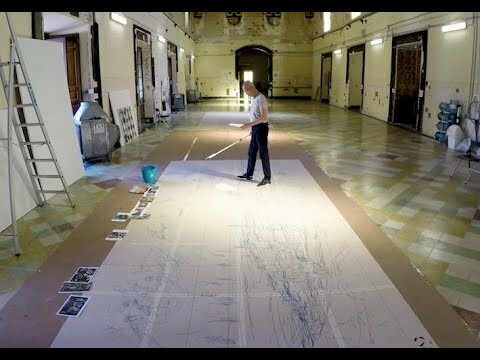 Filming took place in New York, where Cai Guo-Qiang lives and has his studio, on Long Island, in Madrid during the artist’s residency in the Hall of Realms, and in Valencia and Toledo. This 60-minute documentary is filmed in 4K with the sponsorship of Samsung The Frame and the collaboration of Movistar+. 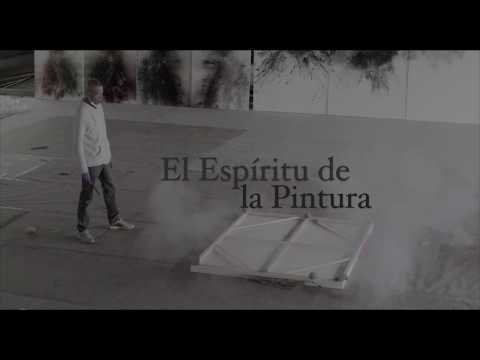 It is produced by Miss Wasabi Films for the Museo del Prado. A 20-minute documentary is included in the exhibition at the Museum, showing in Room D of the Jerónimos Building. Cai Guo-Qiang (born 1957, Quanzhou, Fujian Province, China) studied set design at Shanghai Theatre Academy and since that time his work has encompassed numerous artistic disciplines including drawing, installation, video and performance. 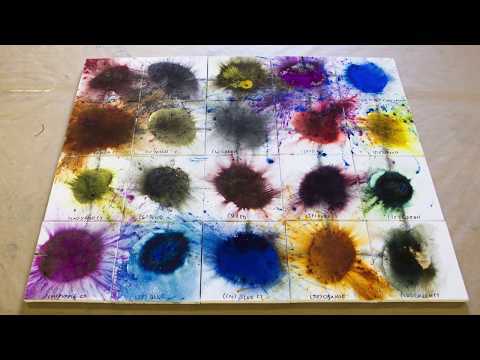 During the years he spent in Japan from 1986 to 1995 he explored the properties of gunpowder in his drawings, a technique that allowed him to develop his highly original explosion projects. In 1999 Cai Guo-Qiang received the Golden Lion at the 48th Venice Biennial; in 2009 he was the recipient of the 20th Fukuoka Asian Culture Prize; in 2015 he received the Barnett and Annalee Newman Foundation Award; and in 2016 the Bonnefanten Award for Contemporary Art. In 2012 he was one of the five prize winners of the prestigious Imperial Prize awarded for a career in the arts in categories not included in the Nobel Prize. In addition, Cai Guo-Qiang is one of the five artists to have received the first Medal for the Arts awarded by the US State Department for his notable commitment to international cultural exchange. Cai was also director of visual and special effects for the opening and closing ceremonies of the 2008 Summer Olympics in Beijing. Notable among the artist’s numerous solo exhibitions and projects are: Cai Guo-Qiang on the Roof: Transparent Monument, held at the Metropolitan Museum of Art, New York, in 2006, and his retrospective I want to believe, shown at the Solomon R. Guggenheim Museum in New York and the Nacional Museum of Chinese Art in Beijing in 2008 and at the Guggenheim Bilbao in 2009. 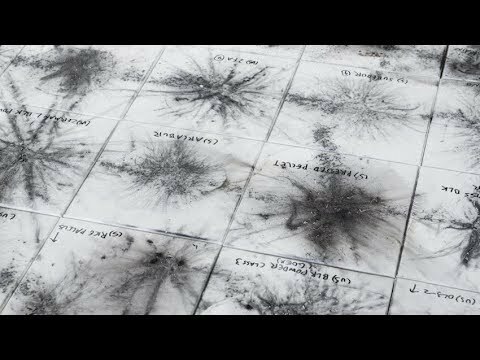 In 2013 Cai Guo-Qiang’s first solo exhibition in Brazil, Da Vinci do Povo, was shown at the Centro Cultural Banco de Brasil and the Museu dos Correios in three cities around the country, moving from Brasilia to Sao Paulo before arriving at Río de Janeiro. With more than a million visitors it was the most visited exhibition by a living artist anywhere in the world that year. In October 2013 Cai created Aventure d’un Soir, an explosion project for Nuit Blanche, the festival of art and culture that takes place across the entire city of Paris, organised by its city council. 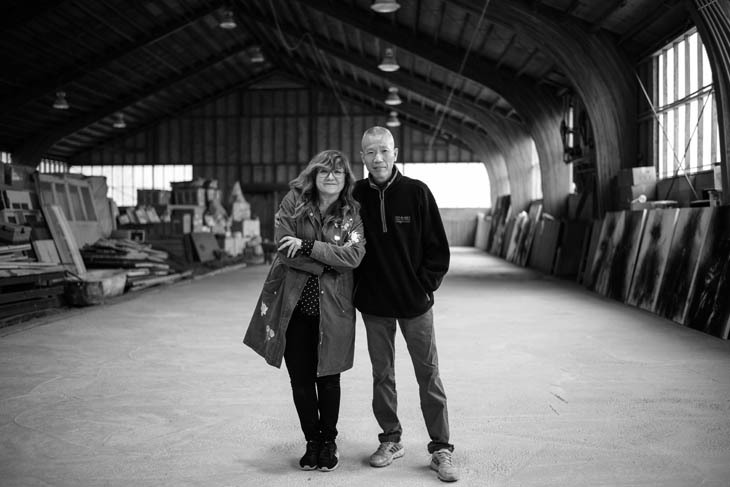 The artist’s most recent solo exhibitions include There and back again at the Yokohama Art Museum (2015), and My Stories of Painting at the Bonnefantenmuseum in Maastricht (2016). On 15 June 2015 Cai created his most recent explosion project, Sky Ladder, on the coast of the island of Huiyu, Quanzhou (China). Current solo exhibitions include October at the Pushkin Museum of Fine Arts in Moscow (opened September 2017) and The Spirit of Painting. 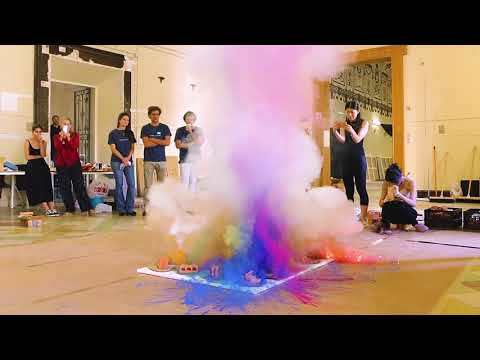 Cai Guo-Qiang at the Prado: at the Museo del Prado in Madrid (October 2017). This exhibition, which arises from Cai Guo-Qiang’s ongoing dialogue with El Greco and in which he establishes a relationship with the great masters represented in the Prado, comprises nearly 30 paintings made with gunpowder; eight of them ignited on-site at the Salón de Reinos. Also on view are an oil and an acrylic created at the start of his activities as a painter; and various sketches and drawings. 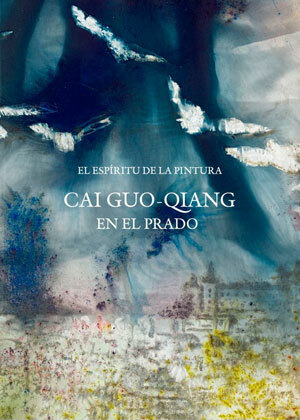 Widely illustrated with works from all periods and techniques of the artist, this book dedicates much of its pages to illustrate the daily work of Cai Guo-Qiang at the Museo del Prado, as a "live" photographic record of his creative process. This is the first book in Spanish that shows how the Chinese artist works. 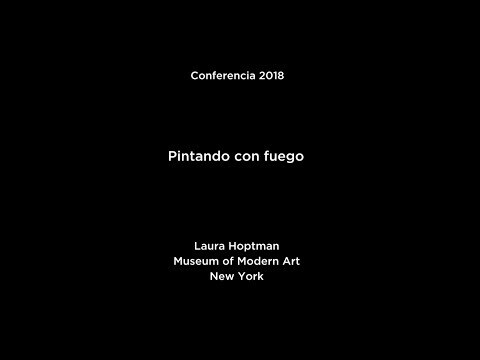 The catalogue includes four essays by Miguel Zugaza, former Director of Museo del Prado, Alejandro Vergara, curator of the exhibition and Chief of Flemish Painting of Museo del Prado, Kosme Barañano, Doctor in Art History, and the artist Cai Guo-Qiang. Brizzolis Arte en Gráfica, S.A.